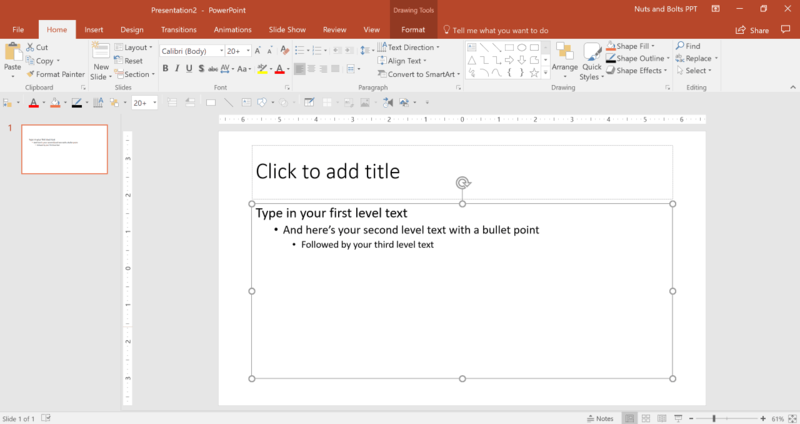 Templates in PowerPoint can be finicky and tricky. Here are solutions and warnings about common tricky things you may be trying to do in your templates. If your template design calls for titles to be in All Caps, it’s very likely that for every single slide, what you do is select the title and go into the font formatting manually to make it All Caps. Or perhaps you simply hit the CapsLock on your computer as you type in the title. This is an incredibly inefficient and error-prone method! The way to do this properly is to make your titles All Caps by default. Here’s how. Go into the Slide Master, and find the slide where you want the capitalized titles to appear (if it’s to appear on every slide, go to the Parent Slide, but if it’s to appear only on a specific type of slide, then go to that layout). On that slide, select the title placeholder and open up the Font dialog box by hitting (Ctrl + Shift + F, or Ctrl + T) or by going to Home and clicking the little arrow in the bottom right-hand corner of the font area. In the font dialog box, simply tick the ‘All Caps’ box, and then close out of everything. If you go back to the Normal View, you’ll see that when you type into that placeholder, the text is automatically made All Caps. To learn other cool PowerPoint shortcuts like this, check out our 80 favorite PowerPoint shortcuts. Note: If you don’t want an individual title (or part of a title) to be in All Caps, in the Normal View, you can select that text, open the Font dialog box, and untick the ‘All Caps’ box. Doing this will not affect the Slide Master and the titles in any other slide. But do note that if you hit the ‘Reset’ command (in Home > Slides), your text will revert back to the default All Caps. In many cases, it may be that your template doesn’t call for bullet points (or for just 2 levels, rather than the default 5). However, it’s important to note that bullet points should always be left in place in a template. Because if someone pastes in a slide into your presentation and the bullet lists have not been defined, the resulting formatting will be a complete mess and you’ll have to readjust everything manually. Having the defined bulleted lists in your Slide Master doesn’t take up any extra room, nor does it prevent a user of the template to create a long and nested list of bullet points. So my recommendation is to always format elements the way you’d like to have them look, even if you don’t want someone to use those elements. Otherwise, you leave the user 100% to her own devices. Yes, it’s possible to do this! And the trick is incredibly simple (though unintuitive). If you want to start a placeholder without a bullet point but have bullet points pop up for the sub-levels, you need to first remove the bullet from the top level text in your Slide Master. 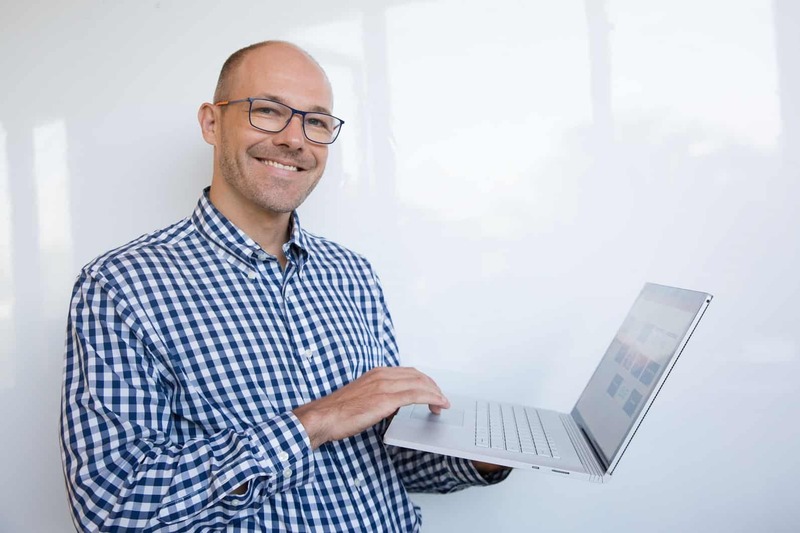 You can do so by either hitting Backspace before the first letter of text, or by selecting the Bullets command in the Home tab, under Paragraph. Then, back in the Normal View, simply type in your first line of text and then hit Enter. Now using the Tab key here won’t work. What you want to do is go up to the Home tab and under Paragraph, click on the ‘Increase List Level’ command. That will bring up the level 2 bullet point, formatted exactly the way you set it on the Slide Master. Then, you can hit Enter and Tab to go to the next line and the third level. While it may be very tempting to delete some of the layouts in your Slide Master, it can lead to some funky issues that you should know about. 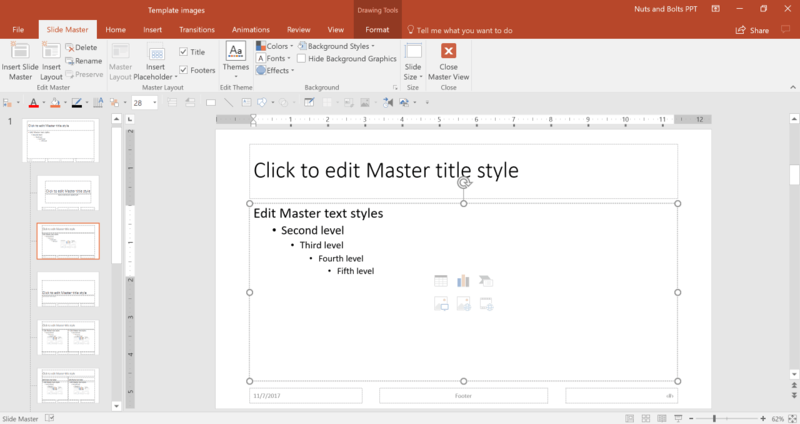 There are 11 layouts that come standard as part of a default PowerPoint Slide Master. Some of those layouts rarely get used. You may also find that child layouts 5, 8 and 9 rarely get used. So when should you delete them or not? Well it’s important to know what happens when you do delete a layout. What happens when you delete a child layout? 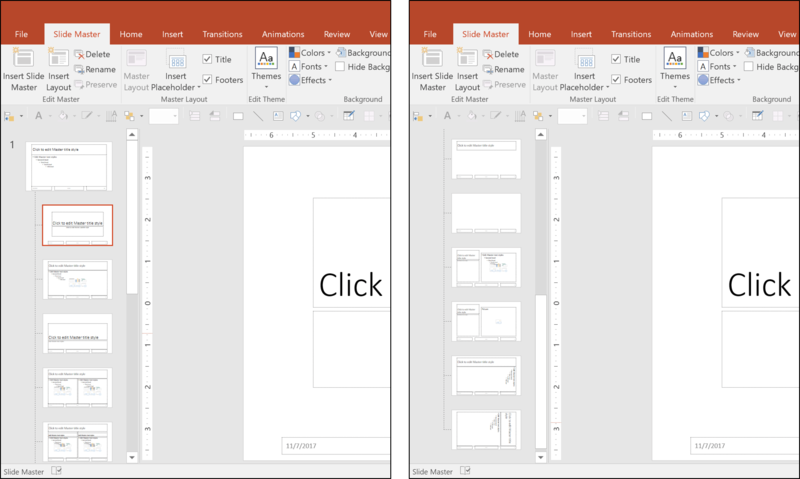 When you copy/paste a slide from one presentation into another in PowerPoint, what the software tries to do is paste it in on the same layout. But if that layout doesn’t exist in your presentation, PowerPoint doesn’t know what to do. Note: To learn how to edit the child layouts in a PowerPoint template, watch our video about how to edit custom slide layouts for a PowerPoint template from scratch. Another thing that gets funky with templates is renaming child layouts. Just like with deleting them, if you rename them, PowerPoint doesn’t necessarily know which layout is which. 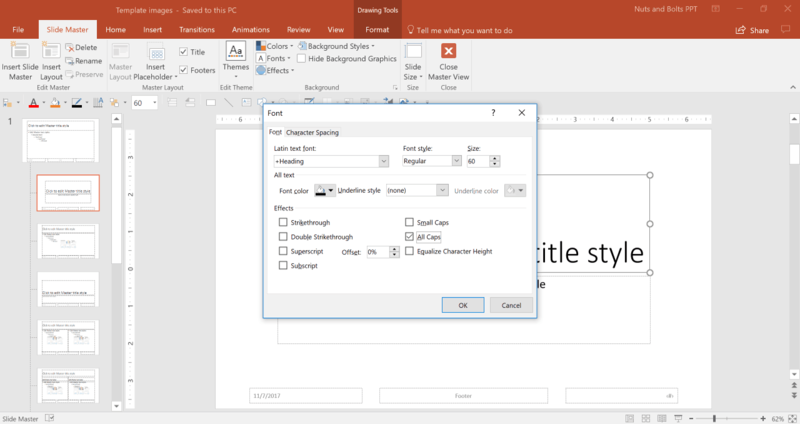 Note: To see how to rename a child layout in PowerPoint, watch our video series how to create custom slide layouts for a PowerPoint template from scratch. 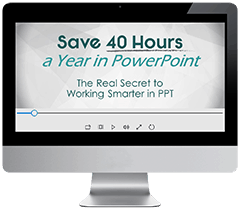 This is a common issue that can stump even the most experienced PowerPoint user. There are a few key finnicky things to know when dealing with slide numbers. 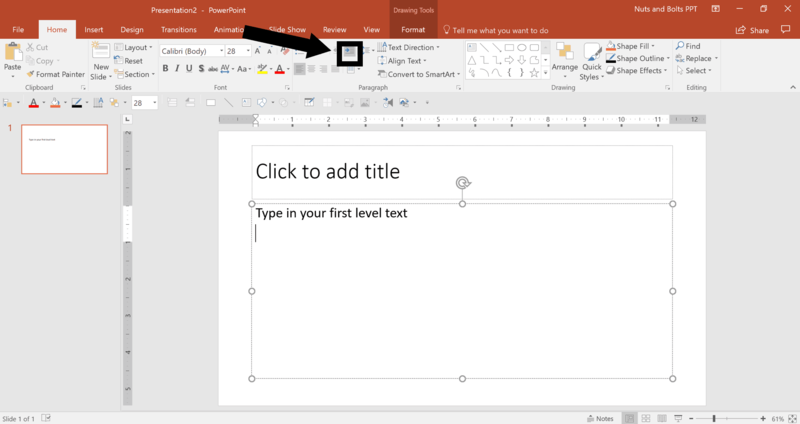 You can learn all about it in this article on fixing your PowerPoint slide numbers.